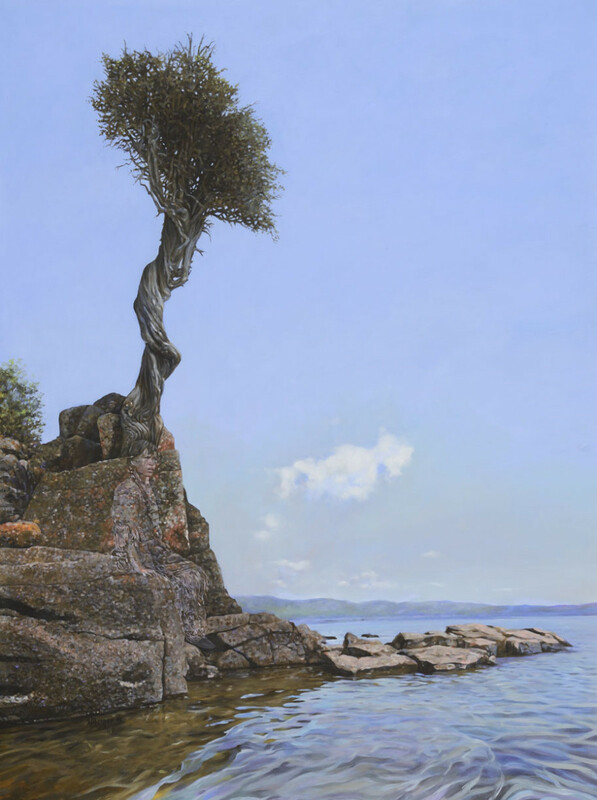 It is called by the Ojibwe “Manidoo-giizhikens” or “Little Spirit Tree”. 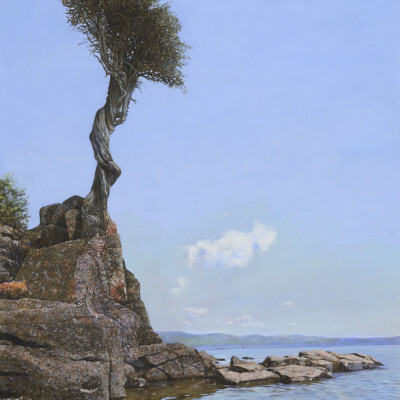 The earliest record of this tree is by the French explorer Sieur de la Verendrye in 1731 who commented on the tree as a mature tree at that time, making it at least 300 years old. Look closely you may see a maiden watching over the lake. 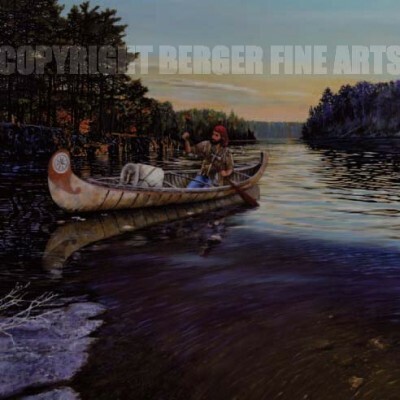 If interested in a signed print go the “Gunflint Series” category. 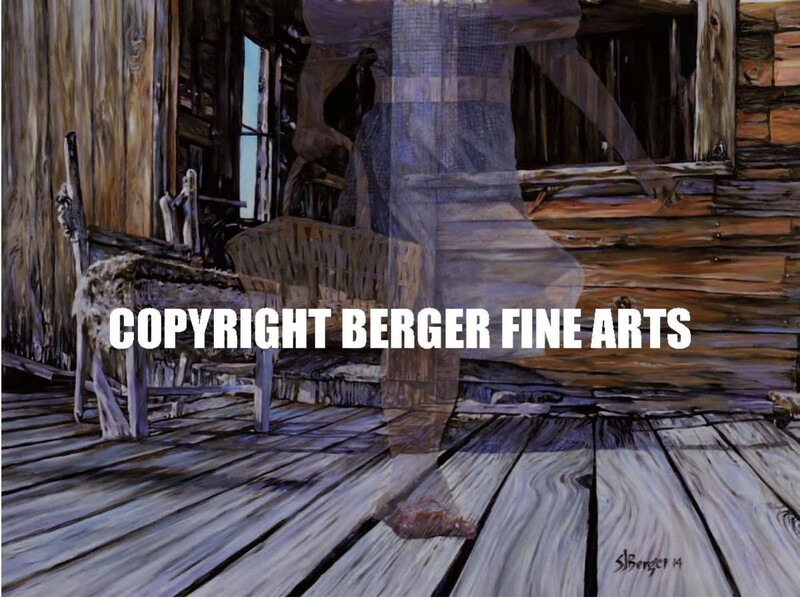 This piece shows a long gone porch and chair with a fleeting ghostlike girl figure going out for morning chores. 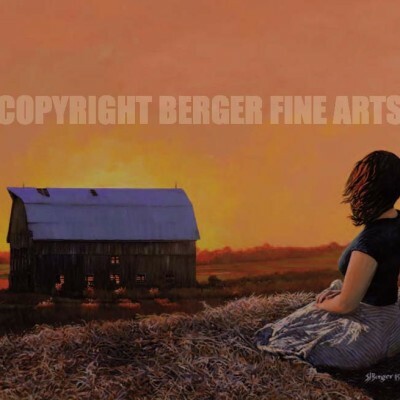 Signed 16×20″ prints of this art is now available in the “Farm Series” category. 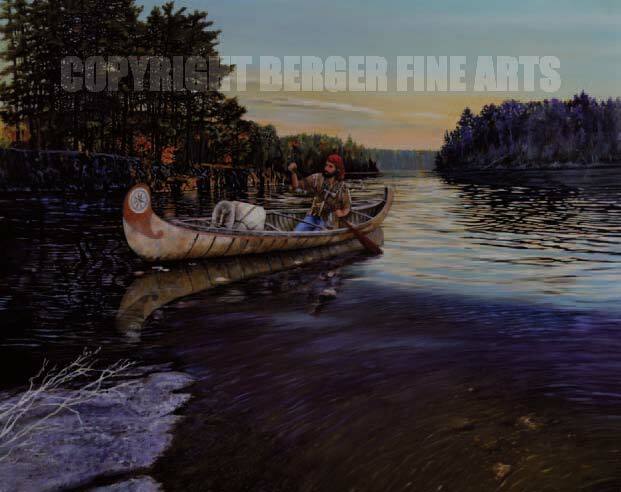 This 16×20 artwork shows a voyager coming back to camp after a long day. Fur, traps, and provisions all ready to be unloaded with just enough daylight left to get ready for a good fire. 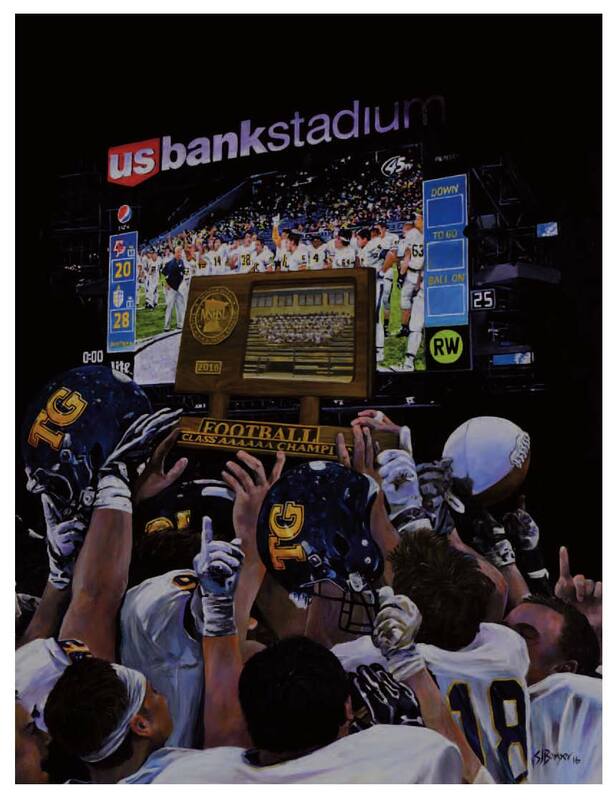 This Giclee print is signed and ready for mat and frame. 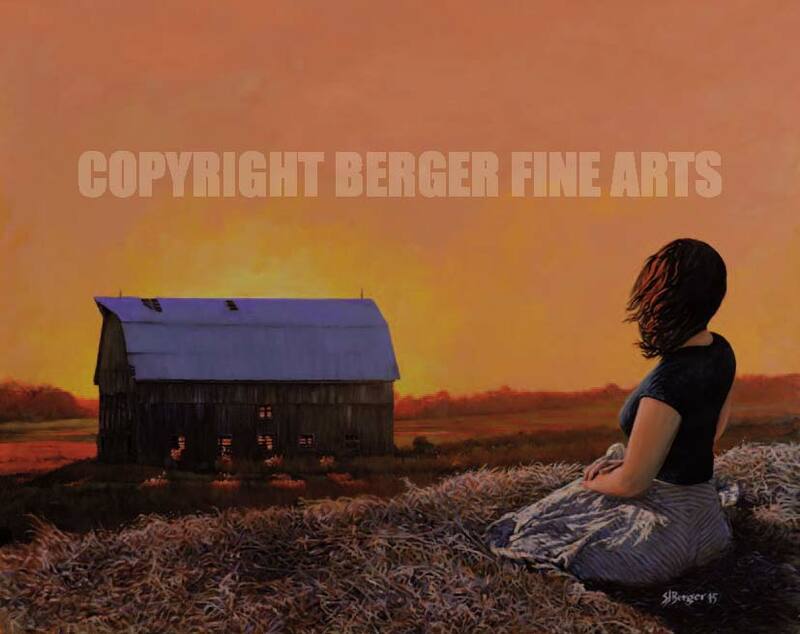 This 16×20 work shows a young women taking a moment to enjoy a stunning sunrise illuminating a barn and creating it’s own glass window drama. You can almost hear the accompanying early morning choirs of bird songs and soothing winds gently blowing over the awakening fields. 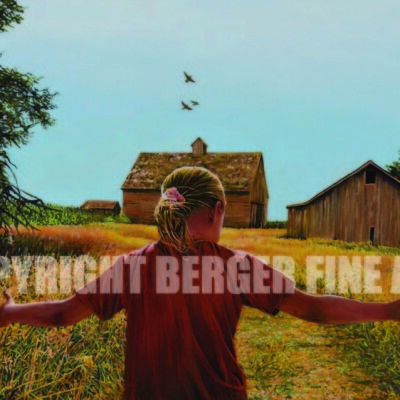 If you know the farm you can appreciate this scene and what is happening in it. 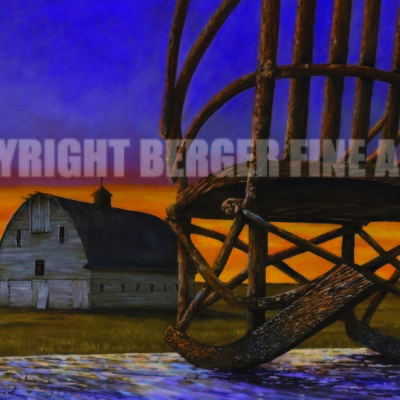 This original of this art was created for the “Make A Wish” foundation in Eastern Iowa. 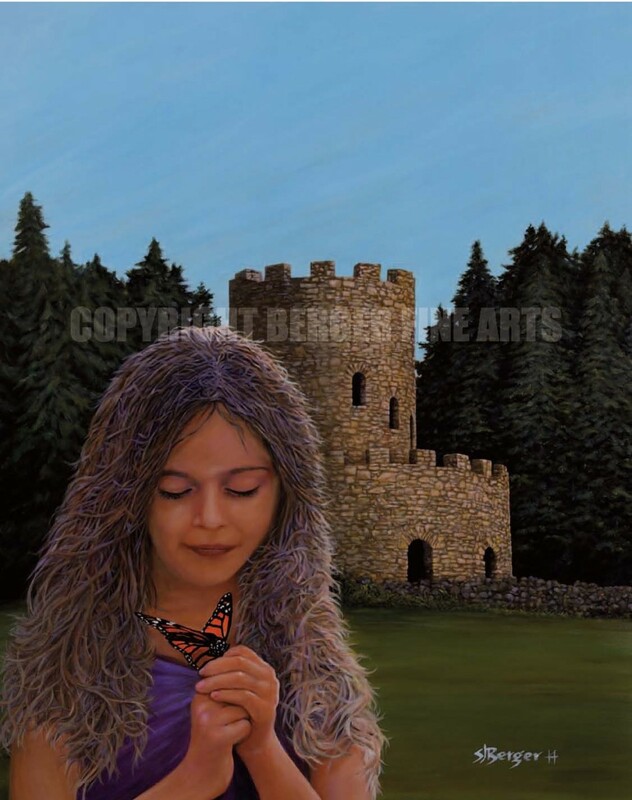 A young girl is making a wish and putting it on the wings of a Monarch butterfly. 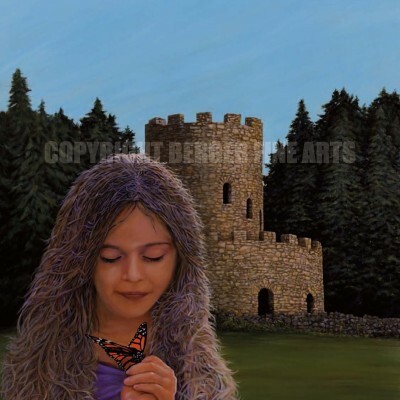 She is standing in front of the castle in Eagle Point Park in Clinton Iowa. Eagle Point Park sets right above the Mississippi and has some of the most spectacular views anywhere of the river. 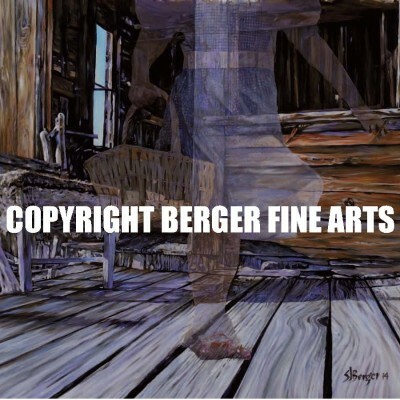 This 16×20 Giclee print is now available for purchase. 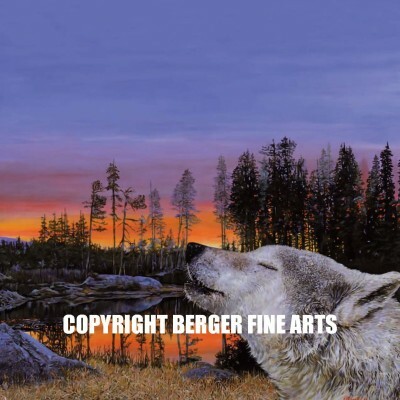 All prints are signed and ready for your frame. 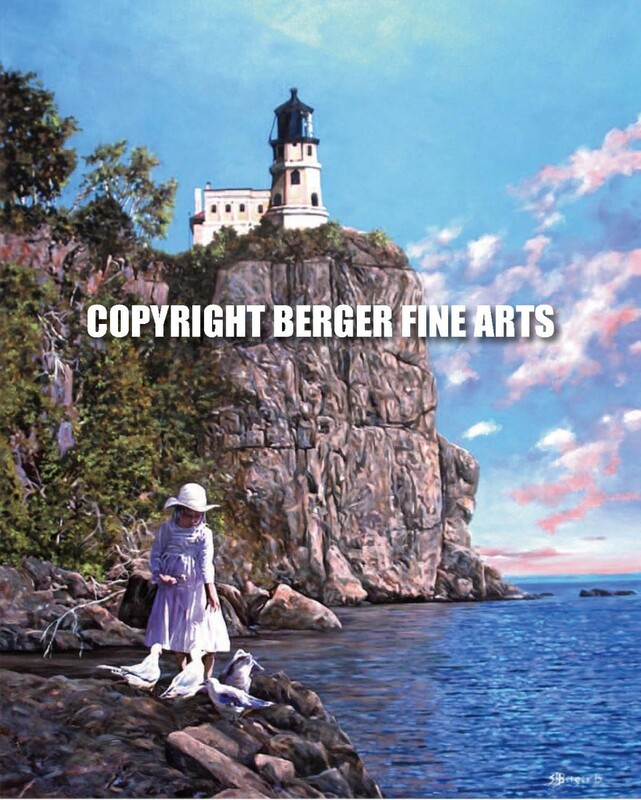 The Split Rock Light House On Lake Superior is an Icon that has long held it’s own majestic presence towering above the lake. 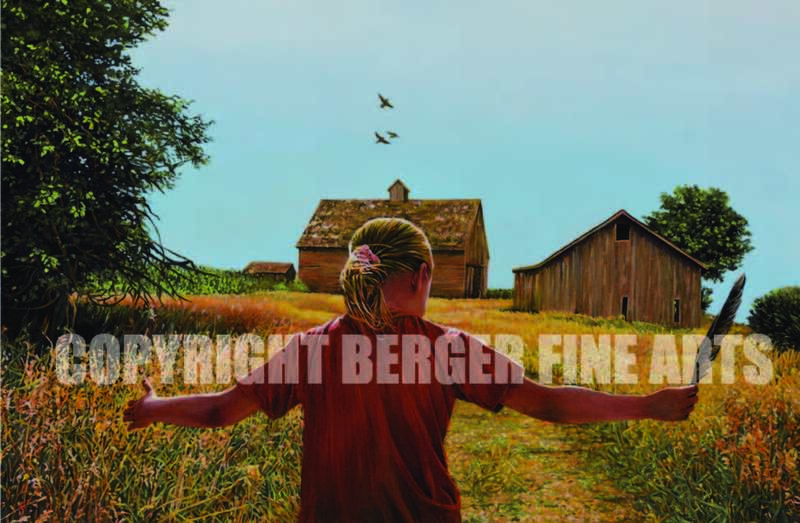 This 16×20″ signed piece captures a summer day with a little girl feeding gulls and enjoying the view. 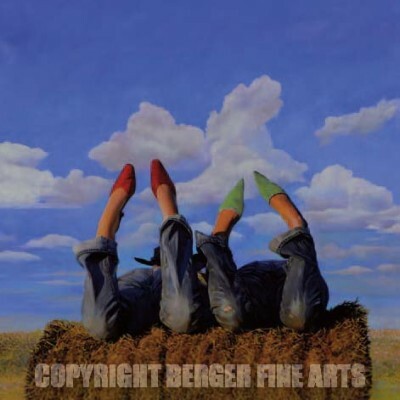 This piece of art features two best friends dreaming about where they will be in another year when they head off to college. 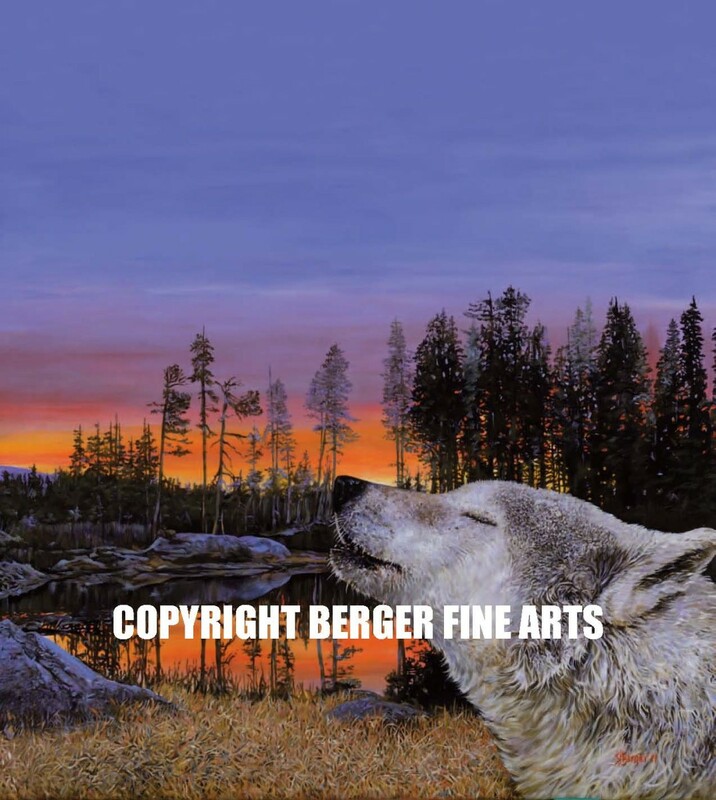 This signed 16×20″ print is now available. This 14×16 giclee print is signed and features the Grand Marais lighthouse sitting at the end of a pier overlooking downtown Grand Marais. 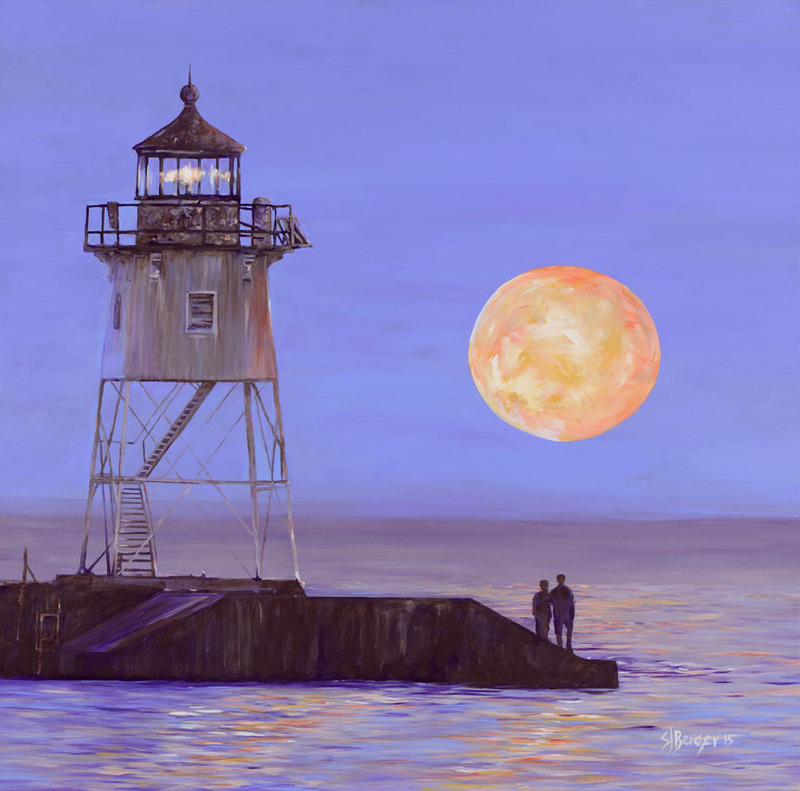 This piece titled “God’s light” features a summer night with a full moon glowing over Lake Superior. This 12″x 16″ print is signed and ready to frame. 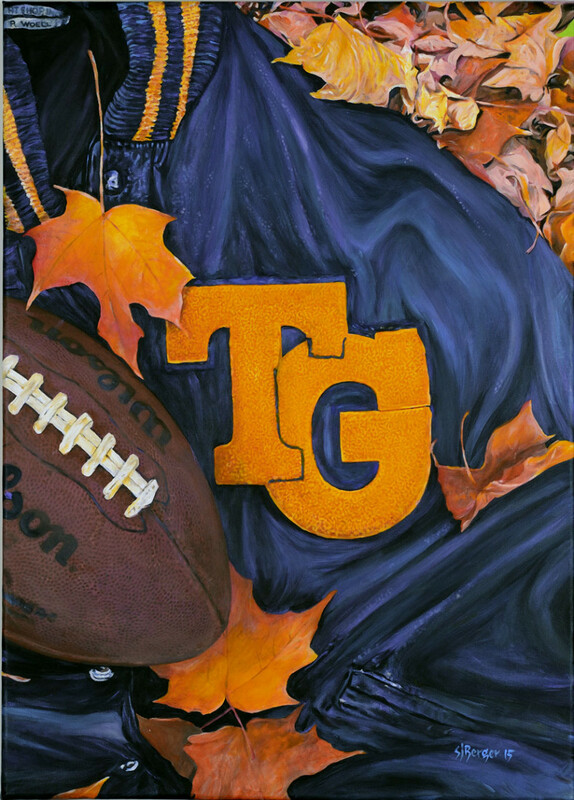 Titled “The boys of fall” if you are a football fan of Totino Grace this piece speaks to those who know when the leaves turn color its time for football to start. 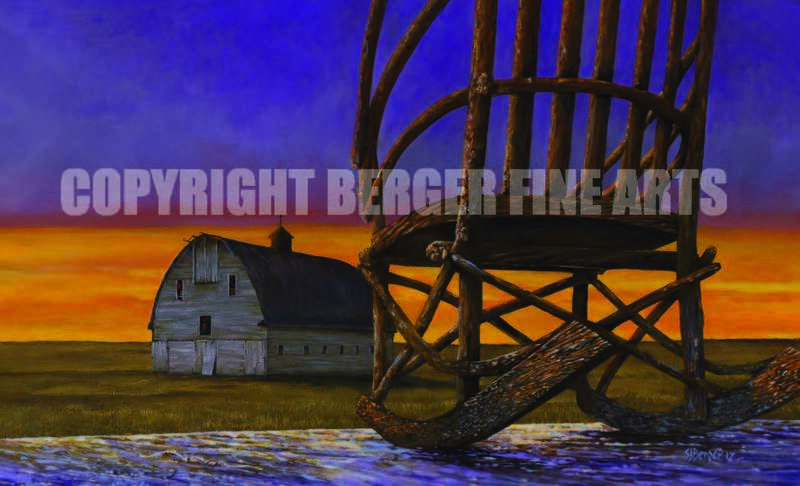 The most recent art piece created for the “Make A Wish” foundation of Eastern Iowa to auction off this Spring. This signed 16×20 piece is now available to purchase. 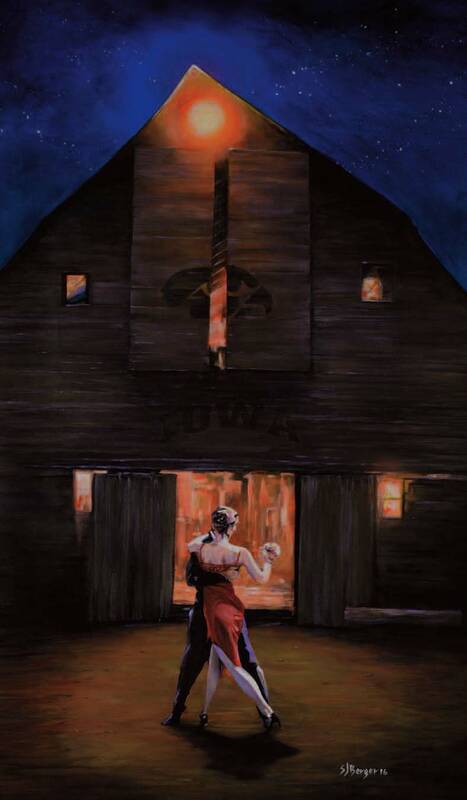 It shows a couple dancing a summer night away with a spotlight provided by the barn overhead light and the stars shining above. 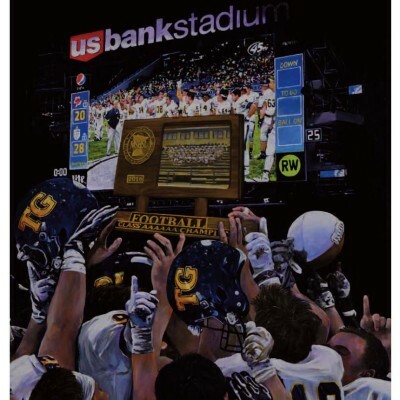 Celebrate the Totino Grace Championship 28-20 win over Eden Prairie Every Day with this super detailed 12.5 x 18.5 signed color print. 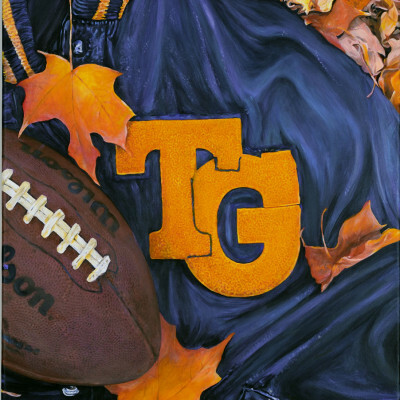 This one of kind original acrylic painting on canvas captures not only the 2016 Totino Grace 13- 0 championship team but also the tradition, spirit and the brotherhood that makes football at Totino Grace so special. If you were celebrating with the team at US Bank Stadium on the night of November 25th. 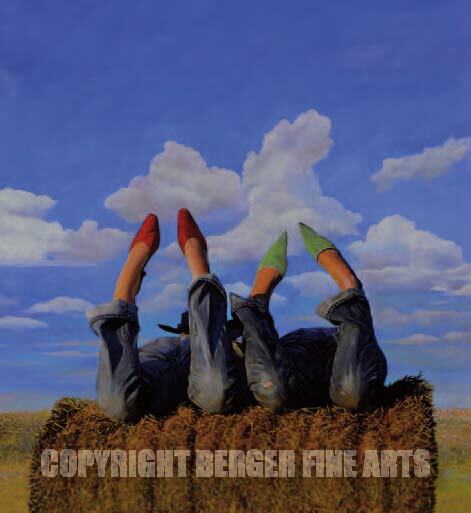 You know what it was like, this painting captures that moment with vivid details.